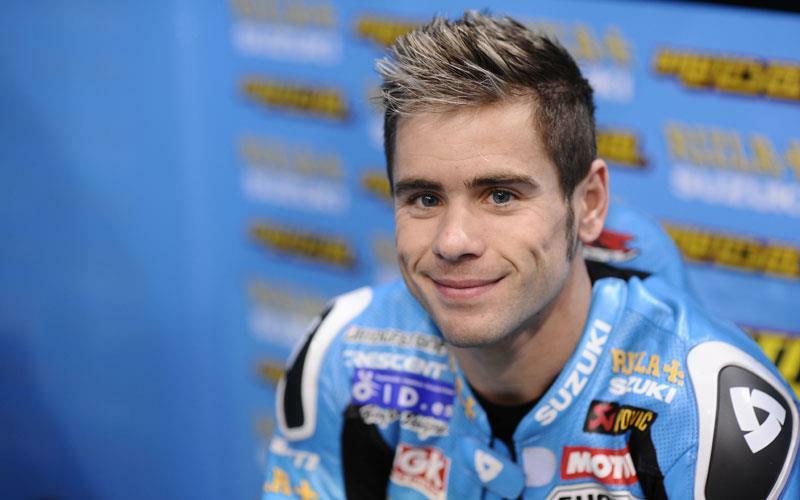 Less than a week after he broke his left femur in practice for the opening race in Qatar, factory Suzuki rider Alvaro Bautista has already taken his first tentative steps. The former 125GP world champion took his first steps in Madrid last night with his personal physiotherapist as MCN understands he is targeting an incredible return to action at the Estoril round in Portugal in early May. It was initially feared that Bautista would be sidelined until at least the Le Mans race in France in mid-May after the Spaniard high-sided out of the final practice session at the Losail International Circuit in Doha last Friday night, breaking his left femur. But he is already making big progress in his recuperation and plans to attend his home race in Jerez next weekend to support Suzuki and John Hopkins, who will ride his factory GSV-R in the Spanish round. Bautista’s progress is encouraging after he suffered complications with the injury before he flew back to Europe from the Middle East earlier this week. He underwent surgery in Doha to insert a pin in the damaged femur bone but then developed Compartmental Syndrome, which occurs when pressure within the muscles around the injury builds to dangerous levels. This pressure can decrease blood flow, which prevents nourishment and oxygen from reaching nerve and muscle cells and hampering the healing process. Bautista had to have a second small operation to open a surgical cut in his leg to relieve the pressure and the wound was left open (covered with a sterile dressing), so he could return to Spain by medical plane back to receive further treatment. Bautista was immediately examined by Dr Angel Villamor upon his arrival in Spain and another small operation was conducted to close the wound. This procedure was a success and the pressure around the injury has now decreased.